Good morning! Who's glad it's Friday?? Raise your hand! Ok, hands down. Well, I'm glad it's Friday but unfortunately I have to do some traveling this weekend for class. But it's only until tomorrow and it may be a nice break to get away. Maybe. We'll see :) Any fun plans on your agenda this weekend?? Ok, onto the 'colorful' part of this post! I have been seeing some interesting nail colors floating around the internet lately. Anyone else know what I'm talking about?? How do you all feel about these crazy new colors? I think I could jump on this colorful train (except for the orange)! Let me know what you think! Sometimes we get so busy that we forget to stop and rest in God's presence. And instead at the end of the day, as we're drifting off to sleep, we give him what's left. But how much better would things be, if we began AND ended our day with intentional time with Him? If you're participating, don't forget to link up over at Summer's! 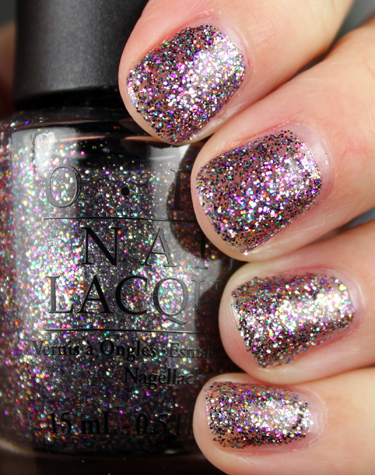 Funny enough, I saw the Alice in Wonderland collection from OPI and thought it was weird, but I saw a girl wearing that glitter color and it looked adorable!!! Oh my word- some of those colors are a bit too much! I would do the 'Mint Candy Apple' on my toes for sure! How adorable will that look with a summer tan?! The glitter is cute, but I think a tad bit youthful for me! oh wow I love the Mint Candy Apple...way cute! And I love today's challenge! It's so hard for me to get up in time to even get out the door and to work when I'm supposed to. But making a few extra minutes in the morning starts me off on the right foot--and it makes a HUGE difference in my attitude during the day! 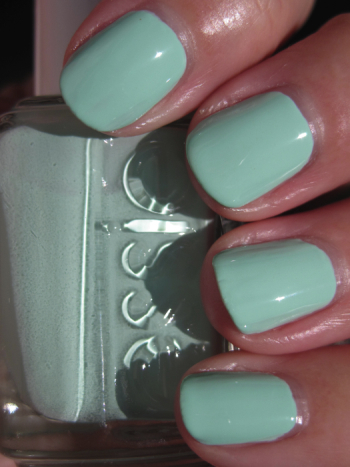 I think Essie's mint candy apple could be really cute for spring! Ohhh! Summer from B is for Brown sent me a bottle of Essie's Mint Candy Apple - and it's officially my new "good luck" nail polish color. And tbh, it goes with everything because it reminds me of turquoise jewelry. i LOVE the nail colors...i like the first one a lot...very unique~!! 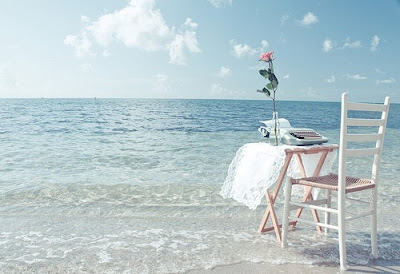 you have a blog award waiting for you at http://jstansbakery.blogspot.com! All those colors look adorable :) I don't think I could pull them off though! I like the Mint Candy Apple a lot! The Feng Shui or whatever is pretty cool too. I think I would board the train too! I loveeee the jade and the mint, i have to go buy them now. You've inspired me. I'm going to start the 21 day challenge on Monday. I'll be a bit behind, but that's ok. I really like that mint green nail polish, and the blue ones. I love that new Alice and Wonderland collection polish. My favorite is OPI "I'm not Really a Waitress." It is the perfect shade of red. Love the green polish! Just in time for St. Pat's Day! Yay!! Love all those OPI colors!!! Never thought I would like that green color on nails, but I'm kinda diggin it! Oh gosh, I love nail polish! I don't know if I'm ready for green on my nails, but I love the color! I was this close to buying the jade last night. I bought a purple instead, but have been thinking about going back for more! Just found your blog, and I absolutely adore it! Love the pictures of the nail polishes. I am in love with Suzi Says Feng Shui. 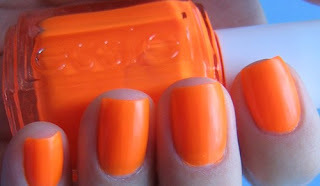 One of my favorite OPI blues!I am kind of loving the Essie Bright Tights! You probably have an awesome nail polish collection that any girl would envy!So glad I found your blog. I am totally going to be a follower now! Have a fabulous weekend girly!! I love the first color. I'm going to have to look for it when I visit the salon this week. I just bought the OPI Mad Hatter polish. I haven't tried it out yet, though! Found your cute blog through I'm a Nola Girl!